A revolution in cancer treatment, revealed by Prof. Myunggon Ko (School of Life Sciences). Discovering a direct correlation between TET genes and cancer. A major breakthrough in the fight against cancer has been achieved by an international team of scientists, affiliated with UNIST. 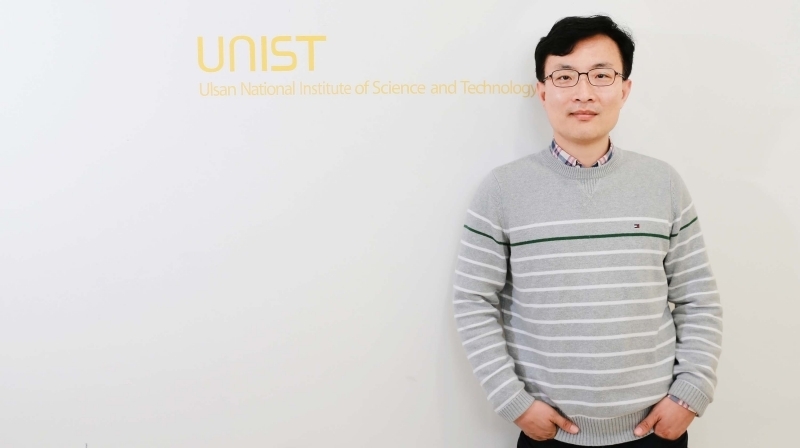 The breakthrough comes from a research, conducted by Professor Myunggon Ko (School of Life Sciences) of UNIST when he was working as a postdoctoral researcher at the La Jolla Institute for Allergy and Immunology in San Diego, United States. 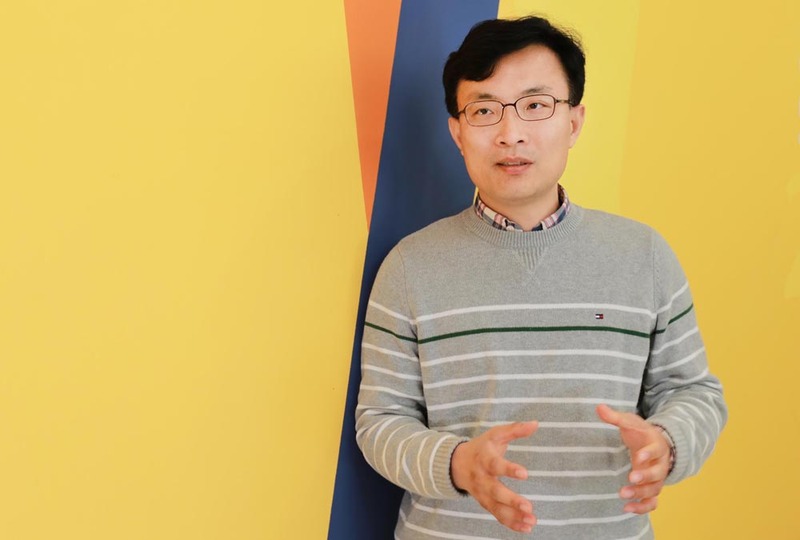 In their study, published in the current edition of Nature Communications, the team reported that a protein regulator, called TET (Ten-Eleven Translocation) is ultimately responsible for preventing cancer. Indeed, their results show that acute loss of TET function may increase the chance of developing an aggressive form of myeloid leukemia. This means the impaired activity of TET proteins might serve as an important therapeutic target in our battle against cancer. The team demonstrated for the first time a causal association of TET loss-of-function with the rapid occurrence of a malignant cancer. To model this phenomenon, the team studied the mice lacking both TET2 and TET3, which are expressed highly in murine haematopoietic stem and progenitor cells (HSPCs). In the follow-up experiments, the mice started showing cytological signs of cancer and, after about four weeks, they died from an aggressive form of myeloid leukemia. Examination of peripheral blood shows that DKO mice, lacking both TET2 and TET3 developed progressive leukocytosis. Prof. Ko states, “The study presents potential evidence that acute TET loss-of-function accelerates oncogenesis.” He continues, “Our findings indicate that TET proteins influence the expression of DNA damage repair genes in myeloid cells, and that TET loss-of-function can in some cases lead to overt genomic instability. Jungeun An, Edahí González-Avalos, Ashu Chawla, Mira Jeong, Isaac F. López-Moyado, Wei Li, Margaret A. Goodell, Lukas Chavez, Myunggon Ko, Anjana Rao. 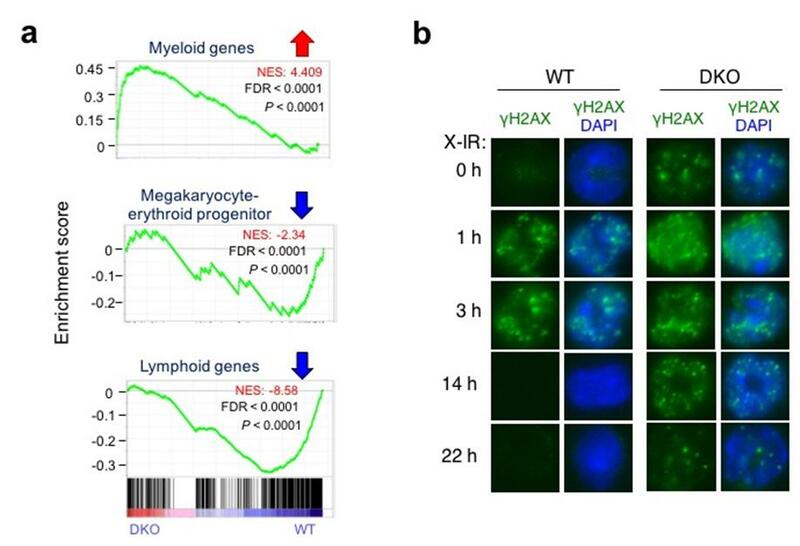 “Acute loss of TET function results in aggressive myeloid cancer in mice”. Nature Communications, (2015).